The idea of making the resale of cars is not new, but now you can find your place on the secondary market. Every year Russia has increased the number of cars, most of which are with a run. Organize your automobile in several ways. It all depends on your starting capital. If engaged in selling pre-owned officially, you must register the individual entrepreneur or legal entity with the right to engage in trade and procurement activities and the repair and maintenance of motor vehicles. 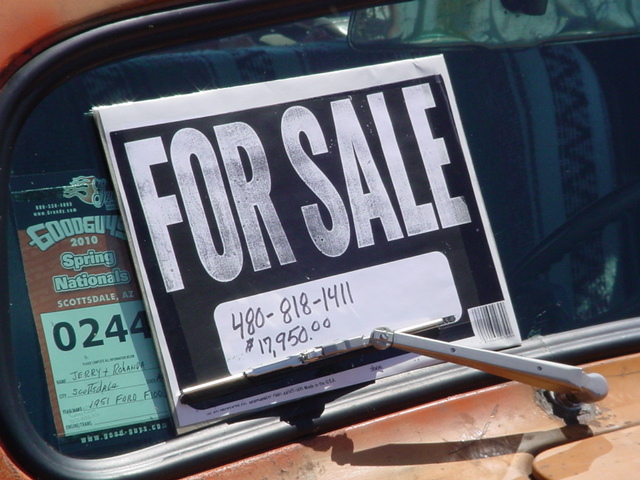 If you have the starting capital to open a dealership that sells used cars. For this you need to rent a large indoor or outdoor area. The more leased space, the more machines will be presented in the salon. And therefore, almost every buyer will be able to find the appropriate model. Most importantly, to find cars in such great numbers without great financial cost. How to do it. You can take cars on Commission. If appeals to you a car owner who wants to sell your car, then you can conclude with it the contract of storage with the possibility of a sale. This means that the customer puts your car to the dealership, designates the amount he wants to receive from the sale. And you give him money only after buying the car by a third party. In fact, you act as an intermediary sale. And your income is generated from the difference, which is obtained in the final cost of the car. For you beneficial to the car owner set the price below market. Then you can cheat the rest of the amount. If the client appoints the market value of the car, this car can stay on the court due to its price. In order to make it profitable, that this machine was in the salon, the contract can specify how much is each car Parking lot. This amount should not be critical for the wearer. If the car no one bought and the owner wants to take him, he will have to pay you for those days, while the car was in the showroom. Before receiving the car you must check its legal purity and performance. For the first it is necessary to establish cooperation with the district police Department. For the second – to have a small box with the lift and to keep the state mechanic. For an additional fee you can engage the services of pre-sale preparation, diagnostics and a car wash. The car from the owner accepted deregistered with TCP, a full set of keys and alarm fobs. If you open your own firm and pay for rent do not want a private way to resell cars. Of course, this kind of activity is not legitimate. After all, you are doing such a business, you pay taxes. "Dealers" buying a car at below market price and resell. To sell such cars on the market or over the Internet. Here the most important thing to observe legal formalities. Buying a machine that removed from the records, by law you have to make it on yourself to make it all transactions. But it is time consuming and requires additional investments. Therefore, you must have established relationships with lawyers or with the people who are involved in making the sale. This is to ensure that the documents at the next sale was immediately issued to the new owner. In all, the resale of the cars the main issue is to find cheap cars that are sold. You can search online on popular websites ad placement on sale. Look for those options in which is marked "urgent." In this case, you can bargain. Pay attention to those ads that hang more than a month. Perhaps the car owner is already tired of waiting for a buyer and is willing to give a discount. You can search cars directly to the traffic police Department, which removed the machine from the register. You can offer the person removing the vehicle from the register for sale, redeem it in the same day.